With the autumn months slowly arriving why not send an arrangement that offers a hint of summer and fall. 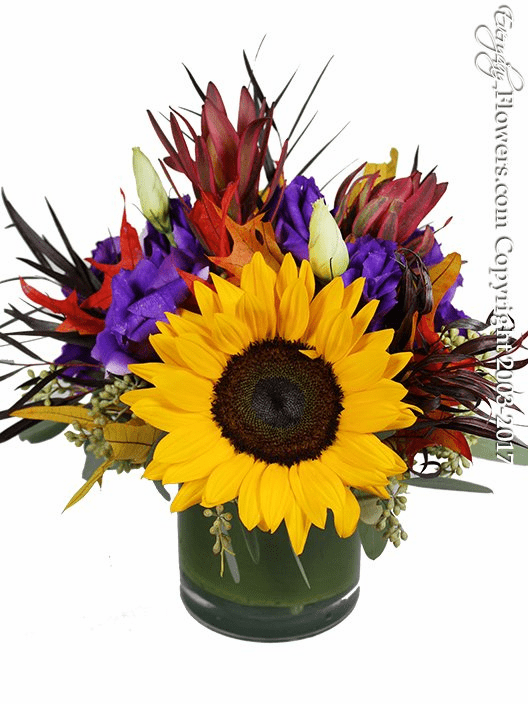 Featuring yellow sunflowers and purple Lisianthus with a hint of fall leaves and hypericum berries. Thanksgiving Flowers by Everyday Flowers to your family and friends in Orange County California.